The history of explosive storage in Hong Kong is an interesting one. The earliest location appears to have been Magazine Island, originally named One Tree Island, which lies just to the West of Aberdeen Harbour. From 1887 to 1908 it was leased for an annual rent of $100, by the Nobel Explosives Company, who built a magazine, a road and planted trees. Magazine Island was abandoned when the Government completed the construction of the explosives depot on Green Island. Explosive storage became more important following the 1967 riots and the Hong Kong Mines Division elected to have all commercial explosives stored on Stonecutters Island prior to being issued to the various blasting sites around the colony. British Royal Army Ordnance Corps soldiers oversaw all commercial explosive issues post 1968 until the colony was transferred to China in 1997. There was a government depot on Kellett Island as well, until taken over by Royal Hong Kong Yacht Club. And at Pipers Hill, Tai Po Road, Kowloon. Dates for both unknown. 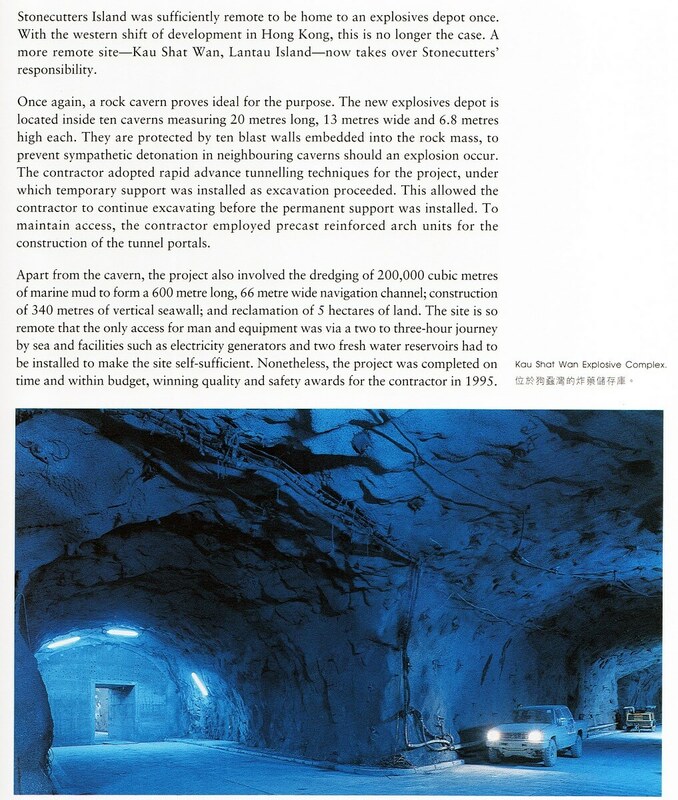 IDJ has sent this article and photo about the latest Hong Kong Government explosives depot at Kau Shat Wan, Lantau Island which was commissioned in 1997. 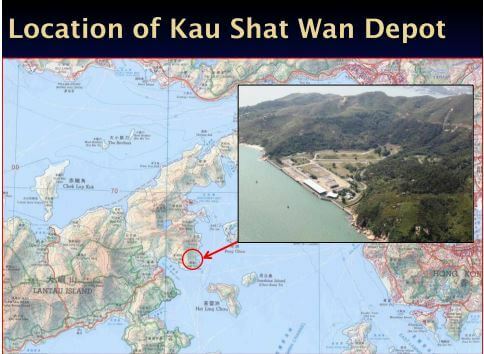 Kau Shat Wan was a bay located between Discovery Bay and Mui Wo on Lantau Island.The bay was reclaimed in 1994 to construct the explosives depot. This article was first posted on 26th December 2015.